The Ubuntu Phone OS made a noticeable splash as its initial developer preview was released for public download February 21st – and rightly so, as the Unity and screen-edge-based interface set this smart phone experience apart. Though this developer preview lacked a lot of functionality – an ‘alpha’ designation would be appropriate – the preview demonstrated a lot of interesting features that show a lot of promise. The design of the unlock/welcome screen is well thought out, in that the reticule in the centre warmly greets the user back to their phone. Once up and running, an animated version of the unlock screen should be a visual treat. Definite strength here. Once inside the phone, I really liked the unique layout of the separate screens: one for Music, one for Apps, and others for other content. It uses the page idea common to android and iPhone, but makes it so that one is specific to a type of content. I can see power users loving the ability to switch quickly between functionality, but this being a problem for organization of long app lists or long lists of music albums/artists/songs. Points for speed, but at this point (since it is not-functional), I can be unsure how large arrays of icons will be organized in this format. The sidebar from unity’s dash is very well implemented here. It is well optimized, even in its alpha stages, for either one or two handed use – which I believed could be a problem. Holding it with one finger allows a slow scroll through the apps, and releasing the finger opens that app. This works well when only one hand is available. For two hands, quickly holding and releasing on the left edge of the screen opens the tray and keeps it there, until an option is selected. The gestures supported by Ubuntu phone allow really speedy transitions between apps, with the unity launcher quickly opening new ones. Right-to-left swiping takes the user to their previous application. There is no ‘open applications’ tray in the style of Android – instead, a swipe back to the home screen lists open apps, just above the app list. I think this may make transitions between more than two applications a little slower. Again, until more applications become available, this is a toss up. Swipe/gesture-intensive interface: Will be welcomed by power users, but the learning curve may mean many accidentally close apps and program switches before a user gets the hang of things. As Canonical states though, this OS is intended for professionals and power users, so perhaps this is well thought out. Colouring: Unike Android’s white-text-on-black-background approach to much of their OS, Ubuntu phone makes no such effort. Much of the interface is vibrant, and their drop-down menus or keyboard is off-white coloured. While visually attractive, this poses some issues. In a dark environment, this light colouring may strain eyes, and it cuts down on visibility somewhat because of lower contrast. Another additional problem comes from OLED-screen devices (like the Galaxy Nexus), which actually use much more energy displaying white or vibrant images. Battery life could become an issue. Keyboard: I did not enjoy the keyboard’s design. The roundedness of the keys meant that there was even less real estate for me to press the proper key with my fingers. An alternative to this keyboard, while still in keeping with the general ’rounded edges’ aesthetic of the design, would be to make the bottoms of the keys rounded, with flatter tops. This could make the keyboard appear a little less… small for users. Without some sort of remedy, I believe typing speed could compromised somewhat, as users feel less confident of their virtual keystrokes. Other than these few minor gripes, I feel that the Ubuntu phone OS will be a very welcome entrant to the market, with many useful features being brought to the smartphone table. The OS will continue development over the next year, hopefully with a polish coming as it rolls out releases, just as Google has done with their Android 4.1 and 4.2 releases. *Edit: Somebody has posted the .zip files for the Galaxy Nexus, for those who wish to download them directly. Link. Ubuntu phone OS has *just* come out, and for those frustrated because using the flashing commands provided don’t appear to be working with their phone, there is another way to accomplish the goal. I encountered this problem myself when I attempted to flash Ubuntu phone onto my Galaxy Nexus running Cyanogenmod 10.1 — the flasher refused to properly wipe /sdcard and overwrite the previous OS. Instead, I performed a successful install by using ClockworkMod recovery environment, doing a factory reset, and then installing the two Ubuntu zip files manually. Make sure your Android phone/tablet is rooted — this tutorial relies upon this. In your Android phone/tablet, download and install ROM Manager. Within ROM Manager, navigate to the “Install ClockworkMod Recovery” option, and press it. Follow the instructions to install ClockworkMod. Make sure you have root privileges! Turn on your PC and boot into your Linux distro. I did this on Ubuntu 12.04, but it should work with any Debian-based disribution that has Aptitude. Windows users will have to find a way to download the install .zip files (find a friend!) and then skip to step 9. Connect your tablet/phone to your PC, making sure ‘ADB’ is enabled – the Android Debug USB connection. which will download the installation .zip files. Navigate to ~/Downloads/phablet-flash/ and enter the folder there. Copy and paste BOTH zip files found here into your tablet/phone, in an easily accessible folder directory. Disconnect your tablet/phone, and shut it down. Reboot into the bootloader. On the Galaxy Nexus, this is done by holding down the volume rocker and power button simultaneously. Select the ‘Recovery’ option using the volume rocker and power button once in the bootloader. This should start ClockworkMod. In ClockworkMod, select ‘wipe data/factory reset’, to wipe the Android OS completely. Return to the main menu and select ‘install zip from sdcard’, and then ‘choose zip from sdcard’. Navigate to the folder where you copied the .zip files. Select the .zip file ending with armel+phonecodename.zip and install this BEFORE the other .zip file. Now, select the other .zip file. This should end with phablet-armhf.zip or similar. Once done installing, navigate to the main menu and restart the phone/tablet. 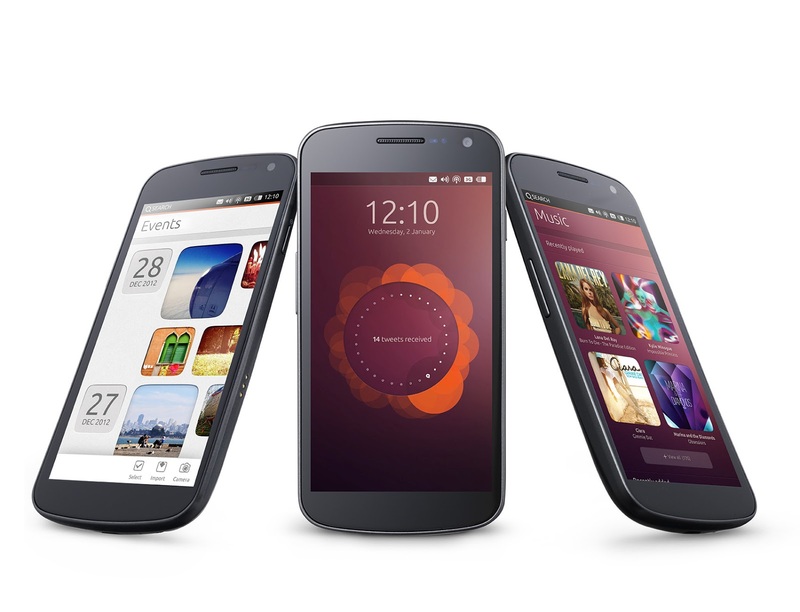 You should now boot into Ubuntu phone OS!